Singapore is a prosperous city state sandwitched between Malaysia and Indonesia. It is located less than 150 km north of the equator and has a hot and humid climate. Its strategic location makes it one of the world's busiest seaports. It all started in the second century under the name of Temasek, and was part of the Sri Vijaya Empire from Sumatra untill the Tamil Chola Empire laid its heavy hand on it. Sir Raffles arrived in 1819, noticed the strategic position of the natural harbor and made it a British trading post. A few years later Singapore became a British colony. During WWII the Japanese took hold of Singapore, and immediately carried out a premediated culling of etnic Chinese, the socalled Sook Ching massacre. 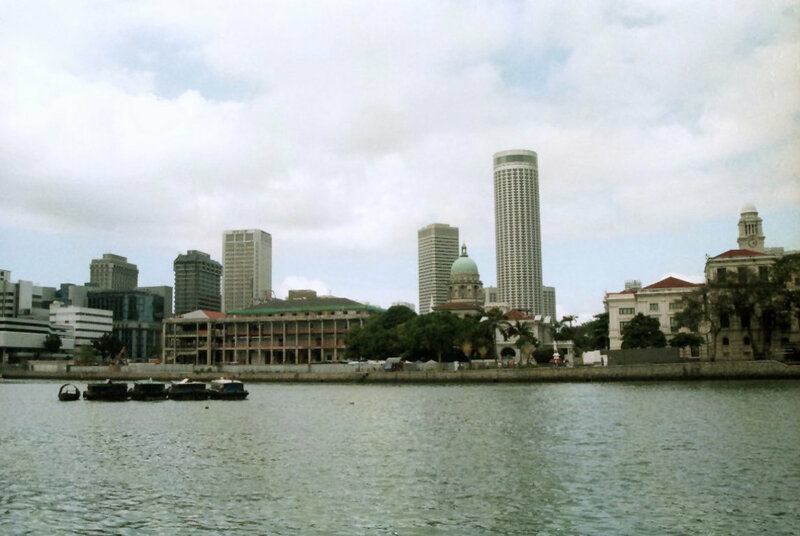 In 1965 Singapore became independent after a short but unsuccessful merger with Malaysia. 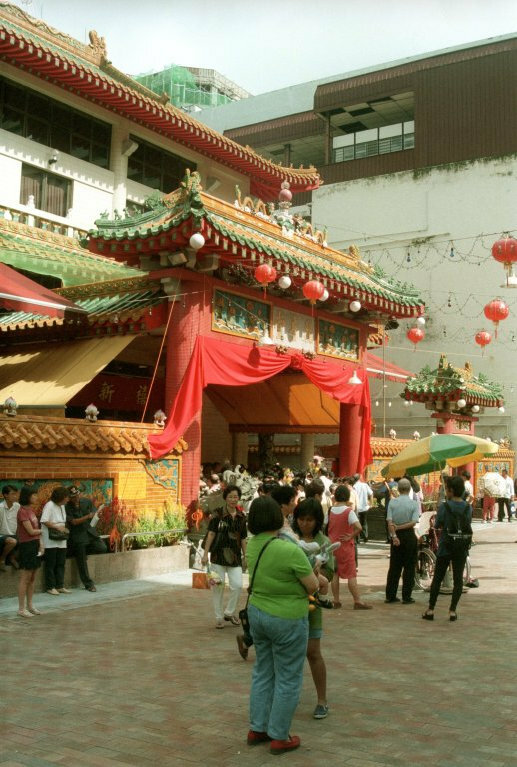 In February 1998 we used a stopover in Singapore to explore this interesting mini-state.